Today is the birthday of Pope Nicholas IV; you can read a brief summary of his life here. Today I want to dig a little deeper into his Taxatio Ecclesiastica ["Church Tax"], which put a value on all parish churches and prebends (non-parish churches, such as those attached to a college) in England and Wales. The purpose of the Taxatio in 1291 was to present to King Edward I one-tenth of the annual profits of each church. Nicholas was willing to do this to support Edward's intention to go on Crusade. He had been on Crusade decades earlier, and supposedly intended to go again. In 1291, however, the Mamluks captured Acre, the last Christian stronghold in the Middle East, removing from European hands the opportunity for a convenient base from which to re-take the Holy Land. Edward never went on Crusade, but the Taxatio remained. The documents created by the Taxatio determined the possessions and taxable income of England and Wales for almost 300 years, up until Henry VIII. Historians now can find many inaccuracies in the documents—mostly because the tax was determined inconsistently: each parish assigned two clergy to interview each landholder and record their income. This was done differently in different parishes; the cutoff level for taxable income, for instance, was not always listed consistently. Edward needed more money, however, in order to finance his wars. In 1294 he demanded (using threats) a tax from the clergy of 50%, and got it. A year later, he decided to be gentler and get them to agree to give him money. This gentler approach failed, however, because the clergy did not want to give in, thereby showing their obedience to a temporal ruler. Edward turned to the Archbishop of Canterbury (Robert Winchelsey) and got him to summon the clergy together; this was the first time the English clergy were called in Convocation, paralleling Parliament. In order to prevent abuses like this in the future, Pope Boniface VIII in 1296 issued a papal bull against such payments. Edward countered this by telling his law courts not to hear any grievances brought by clergy, but to hear any grievance brought against clergy. The English clergy could take just so much of this, and got around the pope's injunctions by volunteering an amount equivalent to the king's request. To Froissart she was "the most beautiful woman in all the realm of England, and the most loving"; in her own right she was the 4th Countess of Kent and the 5th Baroness Wake of Liddell; to Edward the Black Prince she was wife; to history she was "The Fair Maid of kent." Her father, Edmund of Woodstock, was a son of King Edward I, which meant that she and the Black Prince were cousins—not uncommon for aristocratic marriages. She might have been able to marry him at all, however, since she had been imprisoned when she was a child. 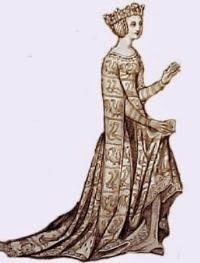 Her father had supported Edward II (who was his older half-brother) during the conflict with Queen Isabella and Roger Mortimer. Once Edward II was deposed, Edmund was executed and his wife and children placed under house arrest in Arundel Castle. Once Edward III came to power, however, he took the family into his care. Joan was his 1st cousin, and the 2nd cousin of his wife, Queen Philippa. Having survived the scandal of being associated with a traitor, she mdd her own royal mistake when she was 12: she made a secret marriage with Thomas Holland without getting the king's consent. Then Thomas went Crusading. While he was gone, her family—unaware that she had contracted marriage with someone else—arranged a marriage with William Montacute, son of the Earl of Salisbury. Joan did not disclose that she was already married for fear that Thomas would be executed. Thomas eventually returned to England, having gained great wealth on Crusade, found his wife married into the family of the Earl of Salisbury, and promptly appealed for help to King Edward and Pope Clement VI. Joan expressed the desire to return to the husband of her choice, and the Earl of Salisbury promptly imprisoned her in her own home. The pope, however, chose to annul the second marriage; Joan joined Thomas, and they had four or five children over the next 11 years. Holland died in 1360. Joan was now about 30, and Edward the Prince of Wales (later called "The Black Prince") a little younger. They had known each other growing up, and a gift from him of a silver cup suggests special affection for his second cousin. There is some evidence that the pair made a secret marriage (this was getting to be a habit of hers) in 1360. This presented a problem, because their relationship was too close for the laws of consanguinity. Edward III, however, requested of the pope that a special dispensation be made, and the two were formally wed on 10 October 1361. Their son, Richard of Bordeaux, would become King Richard II on the death of Edward III. Joan died on 7 August 1385. King Harold Godwinson of England, hearing that King Harald Hardrada of Norway had invaded the north of England and, with Harold's brother Tostig Godwinson, had captured York, marched quickly to meet him, covering over 180 miles in four days. On 25 September 1066, the two armies met at Stamford Bridge. The presence of an actual Stamford Bridge has been disputed. Stamford does not appear in the Domesday Book, compiled 20 years later to tally all of the king's possessions in England. It is, however, mentioned in the Anglo-Saxon Chronicle. We just don't know where it was. The River Derwent (by which the battle took place) must have had a crossing, and there may have been a bridge then of which now we can find no trace, but there must have been something somewhere along the Derwent that allowed the English to cross it and engage the Norwegian army. Hardrada's forces were completely unaware that the English army was so near. 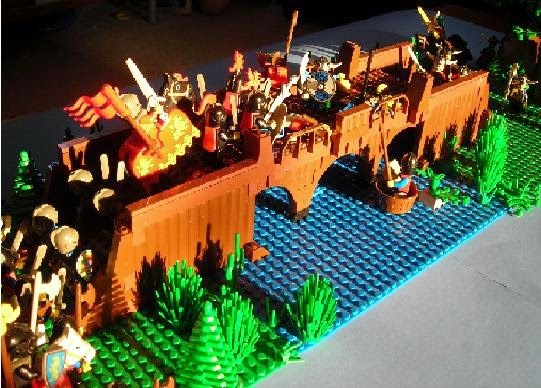 The Anglo-Saxon Chronicle reports that a single axe-man ran to the bridge to hold off the crossing English at a narrow point, killing two score English until one passed under the bridge in a boat and stabbed upward with a spear. The delay allowed the invaders to hastily pull themselves into a defensive circle and put up a shield wall—but not enough time to put on their armor. Harold was able to surround them and attack the shield wall in several places. The battle lasted hours, but the lack of preparation among the Norwegians wore them down. Despite the arrival of reinforcements who had been left guarding their ships, Tostig was slain, and an arrow to Hardrada's windpipe brought him down, putting his army into disarray. They were wiped out by the English. It is said that, 50 years later, the field was still littered with bleached bones of the slain. Harold took pledges from Hardrada's son Olaf, that he would never attack England again. Of the 300 ships they brought to attack England, only 24 were needed to return the survivors. It was a definitive defeat that sent a signal to all the Scandinavian countries. Harold had a right to be proud. Three days after the battle, on 28 September, William of Normandy arrived on the southern coast with an army from Normandy. But that story has been told before. In the absence of historical photographs, I give you Lego Stamford Bridge! In the competition for the throne resulting from the death of Edward the Confessor, Harold Godwinson won out, but this did not sit well with his brother Tostig. Tostig had not been very successful in his position as Earl of Northumbria, but that did not mean he didn't think he deserved more than just being brother to a king. Harold needed a strong and united England to deal with the impending threat of William of Normandy, who also claimed the English throne, and he could not afford to have Tostig causing trouble (or just being weak) in the north. Harold and his nobles exiled Tostig, who returned with a new ally: Harald Hardrada, King of Norway. Hardrada believed himself to be rightful King of Denmark as well, and given how many times Danes had invaded England and established footholds, he figure that he had a strong claim to England. In September of 1066, Tostig and Hardrada arrived in northern England with a fleet of about 300 ships (according to English sources; Snorri Sturluson's Norse account claims 200 ships, "not counting supply ships"). This force of about 9000 Vikings took York with little fighting. 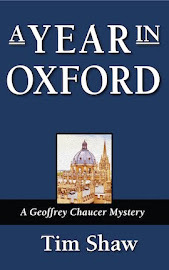 They took hostages, asked for tribute (supplies) to be delivered to a place called Stamford Bridge (presumably a decent open space that could accommodate thousands of men), and relaxed, figuring that there was no immediate danger from King Harold. After all, he was 185 miles away, guarding the shore at which he could expect William to land. Word reached Harold on September 20th of the presence of the Norwegian army. Messengers were sent to other parts of the kingdom, and Harold and his thegns headed north. A mere four days later, they arrived at the town of Tadcaster, only 10 miles southwest of York. They had averaged 45 miles per day! There is a point in the movie Becket (taken from the play of the same name by Jean Anouilh) that introduces the fork. King Henry II has never heard of it before, and doesn't see the point. * Forks did come to England rather late, but they were around much earlier elsewhere. Ancient Greeks used two-tined forks as serving utensils, though not for transporting food directly to the mouth. 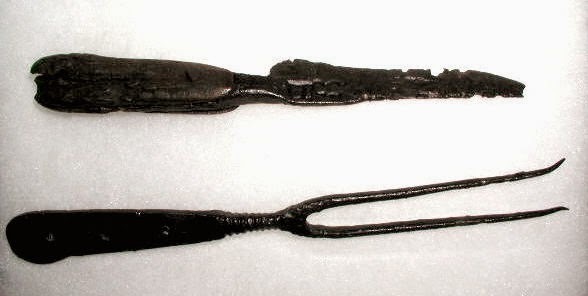 Forks show up in the Middle East by the 7th century CE, used by aristocracy. In the 11th century, the Doge of Venice, Domenico Selvio, married a Byzantine princess, Theodora, who brought to Venice a case of forks, surprising the locals with her refusal to eat with her hands. Bishop Peter Damian of Ostia attributed her death to her "excessive delicacy." The Will of John Baret of Bury St. Edmunds, 1463: "Itm J. yeve and beqwethe to Davn John Kertelynge my silvir forke for grene gyngor" [my translation: "Item: I give and bequeath to Davin John Kerteling my silver fork for green ginger." Inventory of property left by Henry VII: "Item, one Case wherein are xxi knives and a fork, the hafts being crystal and chalcedony, the ends garnished with gold"
"Item, one Case of knives furnished with divers knives and one fork, whereof two be great hafts of silver parcel-gilt, the case covered with crimson velvet"
This is not to say that everyone in England had seen forks; only that forks were known at least to the upper classes. No doubt they were often made with expensive materials, and not accessible to everyone. They started with two tines to prevent whatever was speared from twisting. The tines were straight, however, and some foods tended to slip off. More tines were eventually added for stability, and in the late 17th century in France we start to find curved tines meant for scooping and holding food more reliably. Our word "fork" comes from Old English forca, meaning a pitchfork, from the Latin furca for pitchfork. The French called them forchette for "little pitchfork." *You can see a clip here. 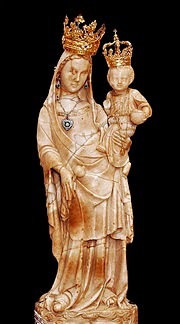 The Virgin of Miracles is a statue in a monastery in Huelva, Spain. It is 54 centimeters (21 inches) tall. By legend, it was made by St. Luke in the 1st century CE; by careful dating and artistic style, it is dated to the late 13th or early 14th centuries. Supposedly, it was thrown into the sea during the Arab conquest of Spain to save it from the infidels, and after the Spanish Reconquista it surfaced in the nets of local fishermen. Miracles such as this are part and parcel of a religion and its saints, but Mary seems to have inspired more tales of miracles than any other figure in Christianity. The Middle Ages was full of them. • A priest who was not capable of saying any Mass other than that of the Virgin Mary was suspended by his bishop for lack of competence. Mary appeared to the bishop and told him to reinstate the priest...or die. The bishop knew better than to disobey. • Gregory of Tours tells us that a Jewish child wandered into a church dedicated to Mary and took Communion during Mass. Finding this out, his father angrily threw him into a furnace. When his mother pulled him out, he was unharmed. The boy claimed that a woman with a baby whom he had seen in the church appeared in the furnace and covered him with her mantle to protect him. • A monastery suffering from famine decided to pray to Mary throughout the night. The next morning their barns were filled with grain and food. This miracle turned into an annual occurrence for several years. • A medieval story from before the 13th century tells us a Flemish monk whose job was to illustrate the portals of the abbey with scenes of Heaven and Hell. While painting an ugly Satan, Satan appeared and begged the monk to portray him as handsome. The monk refused, Satan collapsed his scaffolding, and a statue of Mary extended its arms and held him from falling until help could arrive. Tales of miracles were a comfort, assuring the populace that there were forces at work in the world to save them from the dangers therein. 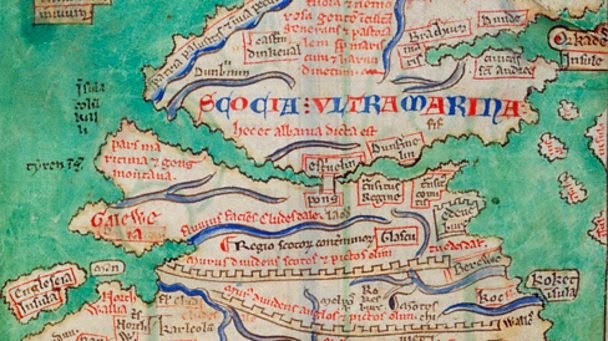 The border separating England from Scotland almost became a little thicker last week, and this week is the anniversary of its creation, with the Treaty of York on 25 September 1237. The border had, not surprisingly, fluctuated over the years, but the Treaty of York effectively stopped Scotland's attempts to push south. The Treaty itself was not a grandly historical moment—and historians often skip over it when discussing relations between the two countries—but the event is interesting because of the account by Matthew Paris and the relationship between the participants, King Alexander II of Scotland and King Henry III of England. The two of them worked well together when they had to; after all, Alexander had married Henry's sister Joan in 1221, and Alexander's sister had married Henry's former regent, the influential Hubert de Burgh. But Matthew Paris (known for being less than objective or factual) made the Treaty far more interesting by lying about the signing. He had nothing good to say about Alexander, portraying him as uncivil and aggressive toward the attending papal legate, Otho, who had been invited by Henry. Supposedly, Alexander claimed that, since no papal legate had ever been to Scotland, he would not allow any papal legate to visit the country. This was untrue, since papal legates had visited Scotland under Alexander's grandfather, uncle, and father; Alexander himself had seen a papal legate earlier. The Treaty did not end a vicious war or curtail a rebellion; in some ways, it merely ratified current conditions. Scotland gave up claims to Northumberland, Cumberland, and Westmorland, and gave up a debt of 15,000 silver marks owed to Scotland that had been given to King John. Scotland also forgave the breaking of promises to marry some of Alexander's sisters to prominent Englishmen. England, in turn, gave Scotland specific territories within Northumberland and Cumberland, with complete judicial control over actions within. Both countries also ratified that previous treaties and agreements that did not contradict the Treaty of York would be honored. All in all, the Treaty did not seem to do much, and yet unfulfilled aristocratic marriage promises, royal debts, and border disputes had been enough to cause war, or at least great hostility between nations. The document signed at York that day may well have prevented much strife that otherwise would have followed. In the United States these days (and probably elsewhere in the world), the name Cupertino evokes the hometown of Apple, maker of computers and iPhones and a few other things. 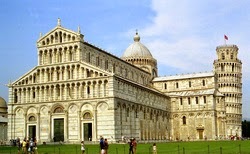 To a different population, however, Cupertino is a village in the "heel" of the Italian peninsula. The two Cupertinos are linked: much of California was explored by christian missionaries (many of them Jesuits) who founded towns named for saints or other holy images. 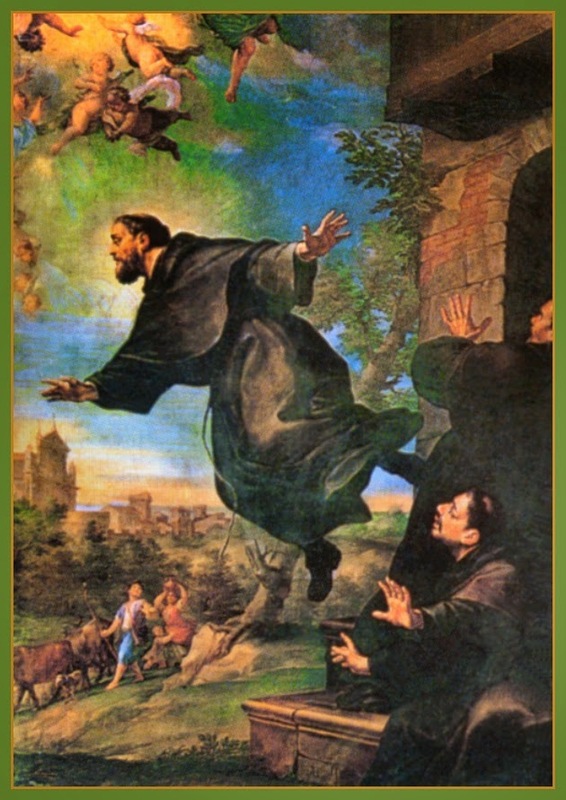 The Cupertino in California is named for Saint Joseph of Cupertino. He was born 17 June 1603* to a poor family. His father, a carpenter, died before Joseph was born, leaving debts that drove Joseph's mother from her home. 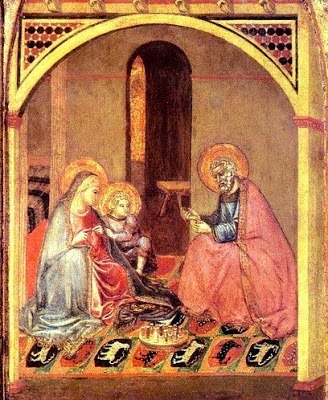 In consequence, Joseph was born in a stable. From this interesting beginning, he showed a tendency toward ecstatic visions as a child, brought on by anything related to religion, including the ringing of a church bell. Rejected by the Franciscans in 1620 because of his lack of formal education, he applied to the Capuchin friars. They took him in for a short time: his visions distracted him from his expected chores. He finally was allowed to join the Conventual friars near Cupertino, finally becoming a Catholic priest in 1628. It is after this turning point that reports started of his levitating during his ecstatic visions while at Mass. Levitation brought a reputation for holiness and attention that was unwanted by his superiors. It also brought fears of witchcraft, and he was brought to the Inquisition, whence he was sent for observation to several different abbeys. He was put on a strict regimen for the next 35 years, fasting most of the week. Because of his levitation (which some feared, but no line denied), he is considered the patron saint of astronauts, aviators, and travelers in the air. He is also the patron of poor students. He died 18 September 1663. *Yes, this is a little late for Daily Medieval, but I'm taking my inspiration from this because today is launch day for the newest iPhone. ...is a big topic these days. Today, in fact, Scotland is voting whether to stay in the United Kingdom or strike out on its own. If it did, it would be the 20th largest economy in the world, thanks especially to its top three imports. In order of their importance, they are oil, gas, and whiskey. Let's talk about the third one. Unlike wine, the fermented juice of grapes, whiskey is a distillation of fermented grain. Before the Common Era we find evidence of distillation in Babylon and Mesopotamia, originally for developing perfumes and medicines. We are not sure when and where the process was first adapted for drinking, but the Ancient Celts might have been using it to produce their version of the Latin aqua vitæ ["water of life"] for which their term was uisgebeatha or just uisge [pronounced "whiskey"]. 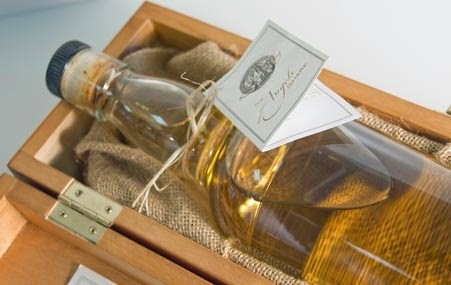 Distillation of alcohol was done in 13th century Italy, using wine. Ramon Lull (1232 - 1315) even wrote about the process. We think Christian monks brought the process to Ireland and Scotland between the 11th and 13th centuries, where the lack of grapes made it the best option for creating a strong alcoholic drink. The first recorded batch of Scotch whisky shows up in the Exchequer Rolls for 1494-95, granting eight measures of malt to Friar John Cor to make aqua vitæ. Friar John was a monk at Lindores Abbey in Fife. Irish whiskey was mentioned earlier: the Annals of Clonmacnoise in 1405 record the death of a chieftain from "a surfeit of aqua vitae" at Christmas. The Dissolution of Monasteries (1536 - 1541) in Scotland by Henry VIII forced many monks into private production. Sad, because by this time Scotland was the world leader in production of whisky. Keep in mind, however, that whiskey at that time was not aged, and so was a very different drink from what we expect today. You may also have noticed that I have spelled the word two ways. "whiskey" is the word used in Ireland and the United States; "whisky" is the spelling used in Canada, Scotland, and the rest of the world. Some U.S. brands use the e-less spelling despite this convention. "Scotch whisky" is whiskey made in Scotland. There is discussion these days about whether some Scottish distilleries would even move to England after independence in order to keep the same export policies and fees in place. We should know soon whether this will be an issue. One example of the "white mantle of churches"
So...the Venerable Bede suggests that time be reckoned since the year of Christ's birth. People start numbering years. They start to notice a disturbing trend: they are approaching a big even number: 1000. Ralph Glaber lived through this traumatic transition, and left us an account. Born in 985 in Burgundy, at the age of 12 his monk uncle found him a place in the monastery of Saint-Léger-de-Champeaux for education and discipline, but he was expelled for bad conduct. He later joined the Benedictines at Cluny, becoming a monk of his own accord. He later lived at two other monasteries. He died in 1050. His life's work was a five-volume chronicle called Historiarum libri quinque ab anno incarnationis DCCCC usque ad annum MXLIV ["History in five books from 900 to 1044"]. His Latin was far from elegant, his grasp of historical facts was far from accurate, and yet the history he wrote provides us with insight to the mood of the time. Warned by the prophecy of Holy Writ, we see clearer than daylight that in the process of the Last Days, as love waxed cold and iniquity abounded among mankind, perilous times were at hand for men's souls. For by many assertions of the ancient fathers we are warned that, as covetousness stalks abroad, the religious Rules or Orders of the past have caught decay and corruption from that which should have raised them to growth and progress.. . From this [covetousness] also proceed the constant tumult of quarrels at law, and frequent scandals arise, and the even tenor of the different Orders is rent by their transgressions. Thus also it comes to pass that, while irreligiousness stalks abroad among the clergy, froward* and incontinent appetites grow among the people, until lies and deceit and fraud and manslaughters, creeping abroad among them, draw almost all to perdition! It was as if the whole world were shaking itself free, shrugging off the burden of the past, and cladding itself everywhere in a white mantle of churches. The phrase "white mantle of churches" has entered the lexicon of medieval imagery, and is remembered and used in print more than Glaber's darker imagery of the corruption leading up to the year 1000. *FYI: "froward" is not a typo; it means "to lead away/astray"
You would think that being named pope is the highest achievement for a man in that particular field, and that it comes with the power to accomplish many great and far-reaching things. And you would be right, for the most part. Consider, however, a man who was already considered great before he ascended to the Throne of Peter, and for whom the papacy took him away from the opportunities to do good. Dauferius, the younger son of Prince Landulf V of Benevento, was born c.1026. At his father's death in 1047, Dauferius ran away from home to escape an arranged marriage, was dragged back, and ran off again. He ran to the monastery of San Sophia and started calling himself Desiderius. He changed monasteries a few times, seeking a more austere life each time. His reputation for discipline and piety brought him to the attention of Pope Leo IX. It is thought that the pope asked Desiderius to negotiate peace between the Normans and a combined Italian-Lombard-Swabian army. Since the Normans defeated the army that included Desiderius' own countrymen, he would have been glad to help. Desiderius became a member of the court of Pope Victor II, who influenced him greatly. More than that, however: at Victor's court Desiderius met two monk of Monte Cassino, and followed them there in 1055, where he was steeped in the details of Benedictine rule. Two years later, during a visit from the previous abbot of Monte Cassino, now Pope Stephen IX (though he had never relinquished the title of abbot), the monks were told to elect a new about to replace the pope. The monks picked Desiderius. As abbot his real work began. He rebuilt Monte Cassino and beefed up the scriptorium, his reputation bringing more monks (there were 200 in his day) and gifts to the monastery. He had been appointed by the pope to reform whatever monasteries he thought needed it, and to appoint bishops from Benedictines if he felt it necessary. His reputation as a wise man and negotiator meant that even factions that were at war with the pope were cordial to Monte Cassino. For almost 30 years he worked to improve his world. When Pope Gregory VII lay dying, he named Desiderius as one of his possible successors (even though they did not see eye-to-eye on the subject of reforms). When Desiderius learned that a lot of people wanted to see him become pope, he went back to Monte Cassino and tried to avoid the privilege. Pressure was great, however, and he acquiesced, being named Pope Victor III on 24 May 1086. Unfortunately, the antipope Clement III in Rome prevented him from being consecrated and actually moving into the Vatican until 9 May 1087. 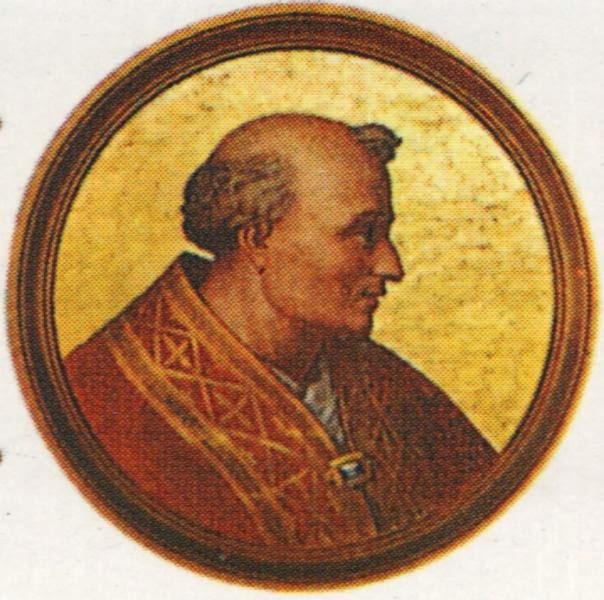 Much of his time as pope was spent replacing Clement and undoing some of the damage from his papacy. And then he died, on 16 September; total time actually in office: 130 days. He should have just stayed in Monte Cassino. Charles III, called "the Simple" (from Latin Carolus Simplex) was a King of Francia (what we think of today as France) and Lotharingia (what we think of today as the Rhineland, western Switzerland, and the Low Countries). He was born 17 September 879, the third son of Louis the Stammerer (son of Charles the Bald) and Adelaide of Paris. His father died before Charles was born, and Charles might have succeeded him as king, but his cousin Charles the Fat was put on the throne by the nobility. When Charles the Fat was deposed in 887—he was increasingly seen as spineless after paying off the Vikings and showing little inclination to military solutions—the nobility again skipped over Charles in favor of Odo of Paris. 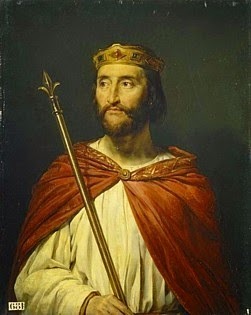 Eventually, however, a faction within Francia decided that Charles the Simple should be made the rightful ruler; he was crowned king in 893, but only assumed the throne once Odo died in 898. Charles negotiated with the Vikings whom Charles the Fat had paid off. In exchange for peace, he granted them lands on the continent. Their leader, Rollo, was baptized and married Charles' daughter, Gisela. Their heirs became the Dukes of Normandy, leading eventually to William the Conqueror. Charles himself married (for the second time) to Eadgifu, a daughter of the English King Edward the Elder. Their son was the future King Louis IV of France. The initial opposition to Charles was not due to the nickname. Although we translate Carolus Simplex as "Charles the Simple," the adjective has become...umm..."simplified" over time. When attached to Charles, it did not mean he was unintelligent; rather, that he was straightforward and direct, acting without subterfuge or guile. But this quality did not endear him to everyone. Not everyone appreciated giving territory to the Vikings, or some of his other decisions. Odo's brother Robert became the fiscal point for revolt in 922, and Charles had to flee. 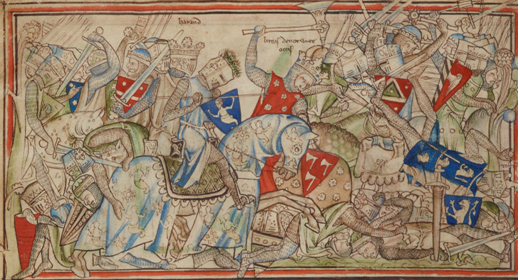 Returning with a Norman army, he was defeated on 15 June 923, captured and imprisoned, where he died on 7 October 929. Eadgifu fled to England when the revolt took place, but her son Louis would return to become king of France in 936. Like with naalbinding, our earliest examples of knitting come from Egypt, where the dry climate and soil helped to preserve archeological finds. They were a product of Muslim culture, whose artistic patterns follow such traditions that we can date items by their style of decoration. (Early knitting used cotton and wool. Both could be dyed, resulting in multiple colors and elaborate patterns.) In Egypt, we have pieces of true knitting that date to as early as the 8th century CE. In Western Europe, the earliest examples of knitting come from Spain. A set of 13th-century bishop's gloves and two cushion covers knitted in silk are found in the Monastery of Las Huelgas. The earliest examples of knitting also show a "jog" in the pattern which suggests to experts (knitting experts, not archaeologists) that early knitting like early naalbinding was done in the round. Because of this, knitting was best used for smaller items that curved, such as gloves or mittens, socks, hats, and small bags or purses. Examples of back-and-forth knitting don't show up (at least, none have survived) earlier than about 1600. That is when we start seeing larger items of clothing, like knitted jackets, made from flat pieces that result from a two-needle back-and-forth knitting technique. We know, however, that knitting was regularly producing garments before 1600: a British Parliamentary Act of 1552 that limited the selling of wool mentions knitted shirts. The artist Ambrogio Lorenzetti, whose art happens to provide examples of everyday living (as in this post on the hourglass), shows the Virgin Mary knitting in a 1345 painting. *This is all different from crocheting, which did not show up until the 19th century. Technically, today's post is not about knitting, but about an earlier technique with a similar result known as naalbinding. Naalbinding, or nålebinding, is Danish for "needle-binding." In English it is sometimes referred to as "knotless knitting." Some archeological finds have been designated as early knitting when they were really naalbinding. Knitting as we know it today appears near the end of the first millennium CE, whereas threads woven by naalbinding can be found dating to centuries earlier. The difference is that, while knitting involves a continuous row of loops linked together by the use of two needles, naalbinding uses a needle to pass the whole length of the thread/yarn through each loop, and the loops must be bound together during the creation process (see the illustration above). In knitting, simply turning the piece around once all the links have been transferred to one needle means that the next row will be automatically linked to the row on the needle. Naalbinding uses shorter pieces of yarn, not one long continuous piece. Despite the Danish label, naalbinding's earliest examples are found around the world, in socks used by Coptic Christians of the 4th century and hats and shawls of the inhabitants of what is now Peru dating to 300 BCE. 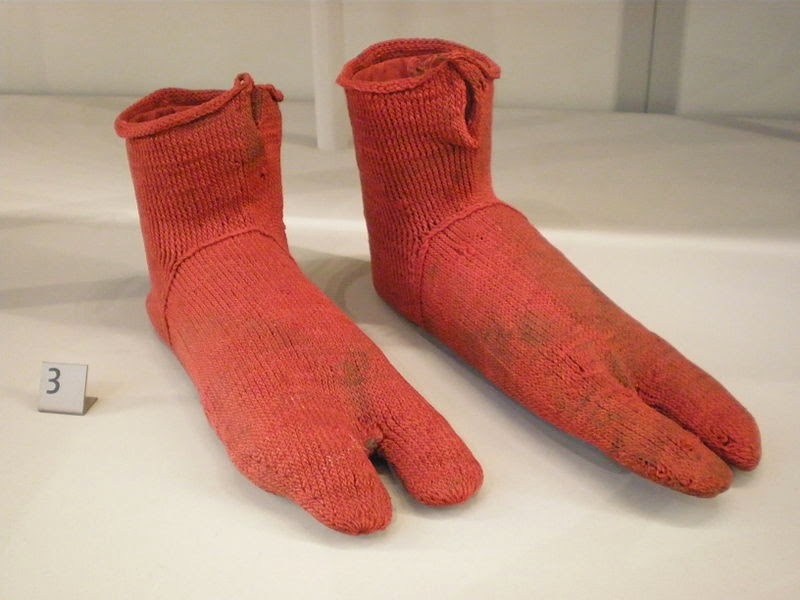 The pair of wool socks shown here, meant to be worn with sandals, is in the Victoria & Albert Museum in London. They were excavated in Egypt and date to between 300 and 500 CE. For those wishing to know more, a how-to for the process is explained and illustrated here. William de Redvers, 5th Earl of Devon, died 10 September 1217; he was born sometime before 1146, (the year his mother died). 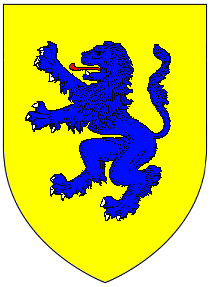 His coat of arms was a lion rampant (facing left). At Richard Lionheart's coronation, four earls supported the canopy under which he walked in the procession. William was one of the canopy bearers. Prior to Richard's accession, William was loyal to King John. Falkes de Breauté, with no particular aristocratic standing (he is rumored to have been illegitimate), died in 1226. His coat of arms was a griffin. He, too, had been loyal to King John. Falkes rose to prominence during the First Barons War when John faced a revolt from his barons. Falkes was prominent in many military engagements on behalf of John. With their loyalty to King John (at a time when he needed men faithful to him), these two men probably crossed paths more than once. At least one of those times, however, was not in a good way. William had a son, Baldwin, who would become the 6th Earl of Devon after William's death. Baldwin married Margaret Fitzgerald, the daughter of King John's chamberlain. Baldwin and Margaret had a son, also named Baldwin. Sadly, the elder Baldwin died on 1 September 1216. Falkes, with no title or fortune to his name, took it upon himself to improve his standing by kidnapping the widowed Margaret and forcing a marriage. William objected, but John approved, choosing to reward Falkes for exemplary service. Falkes received not only Margaret's dowry from her father, but also, when William died in 1217, the estates connected to the Devon title, since he was now regent for the younger Baldwin, who became the 6th Earl of Devon. Part of Margaret's dowry was an area in London dominated by a manor which, because of her new husband, became known as Falkes' Hall. The name morphed through the years once the original reason for the name faded into history, first becoming "Foxhall" and later "Vauxhall." In 1857, a Scottish engineer founded a company in Vauxhall which later became the Vauxhall Iron Works and then, in 1907, the Vauxhall Motor Company. This company used, as its logo, the griffin of Falkes de Breauté. 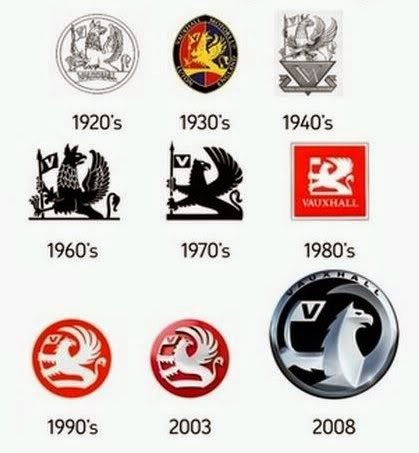 So...if Falkes had not kidnapped William's daughter-in-law, the area in London known as Vauxhall would not have been given that name; moreover, whatever name it did get, the logo of an automobile company coated there might have been a lion rampant, which might have caused problems for the French Peugeot line of automobiles. 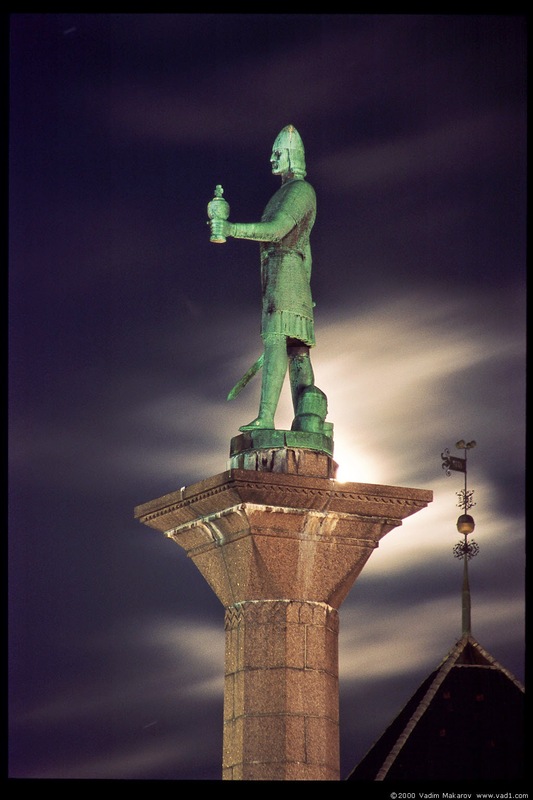 King Olaf Tryggvason is the subject of far more stories than we have facts to support them. (He was implicated in the destruction of London Bridge and therefore the subsequent nursery rhyme.) He was King of Norway for only 5 years (995 - 1000), but there are no contemporary records of his actions. The earliest record we have is an English chronicle about 70 years after Olaf's death, and in that he is only mentioned briefly. We have to wait about 200 years after his death to get stories written down about him, and the veracity of those cannot be trusted. There is agreement that he was either born in the Orkney Islands (which were part of Norway at the time, despite their proximity to Great Britain), or carried there at three years of age by his mother, in order to escape the killers of his father. He wound up (after being captured by pirates and sold into slavery, then discovered years later by a countryman and bought) in Kievan Rus. As an adult, he was shipwrecked in Wendland, an area of Germany inhabited by Slavs. It was ruled at the time by Queen Geira, whom Olaf courted and wed. When she died, he was distraught and left Wendland, plundering on the seas. On the Scilly Isles off the southwestern tip of Great Britain, he met a seer, who told him he would become a great king and convert many people to Christianity. She predicted that when he returned to his ship he would face a mutiny, and be wounded in battle, but recover after seven days and then he would be baptized a Christian. After he left the seer, her prediction came true, so he let himself by baptized upon his recovery by St. Elphege of Canterbury (later made a bishop under Pope John XVIII). Raud the Strong refused conversion after Olaf defeated him in a sea battle, even though Olaf promised that he could keep his lands if he converted. Olaf had Raud tied to a beam, face up, forced a drinking horn into his mouth, and goaded a snake by means of a hot poker to go through the horn into Raud. Eyvind Kinnrifi was punished with hot coals on his stomach. Queen Sigrid of Sweden was courted by Olaf, but she refused to convert; supposedly, he slapped her with his glove. This motivated her to gather his enemies. He was attacked on the sea by an alliance of Danish, Swedish, and Wendish forces. The naval Battle of Svolder took place on 9 September 1000 (or perhaps 999). Seeing that he was losing, Olaf jumped overboard. The body was never found. This led to Elvis-like sightings in later years. He was reportedly seen in Rome, Jerusalem, and around Europe and the Mediterranean. There was a sighting as late as 1046, and Æthelred the Unready supposedly received gifts from a visiting Olaf years after 1000. *How he got back there is a convoluted tale that we will leave for another day. 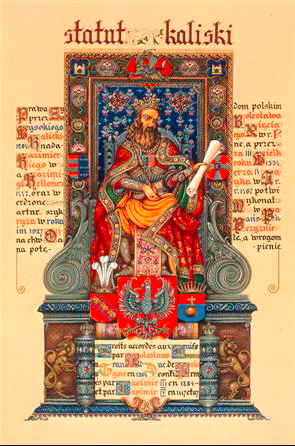 Bolesław V the Pious (1224 - 1279) was (at different and overlapping times) Duke of Greater Poland, Duke of Kalisz, Duke of Gniezno, and duke or regent or leader of other regions, all starting in 1239 when his father died. Not sure how he got the nickname "Pious" (Pobożny in Polish), but in 1264 he did something truly pious: he enacted the Statute of Kalisz. Kalisz, one of the oldest cities in Poland, was then on the border with Germany. It had a Jewish population, probably driven there from the Rhineland by the Crusades (which were not always about freeing the Holy Land). In 1264, Bolesław enacted the Statute that gave rights to the Jews of Kalisz and western Poland. Jeering at a synagogue required paying a fine. Throwing stones at a synagogue was punishable by a payment of two pounds of pepper to the local court. Jews were not to be harassed when traveling, or be forced to pay additional road tolls. Christian neighbors who failed to help a Jew who calls for help in the night would be fined 30 szelags. The Statute (with 46 chapters of new rights) was so accommodating in the legal status given to Jews that it helped create a "nation within a nation." King Casimir III would extend it to all of Poland 70 years later. *The kidnapping sand murder of children to use their blood in rituals—this was a common accusation for centuries. In the Book of Proverbs, we find "Like a snow-cooled drink at harvest time is a trustworthy messenger to the one who sends him; he refreshes the spirit of his master." [25:13, New International Version] It is believed that the tribes, like the Greeks and Romans, used snow to cool drinks. The Middle Ages found different ways to work with food over time. 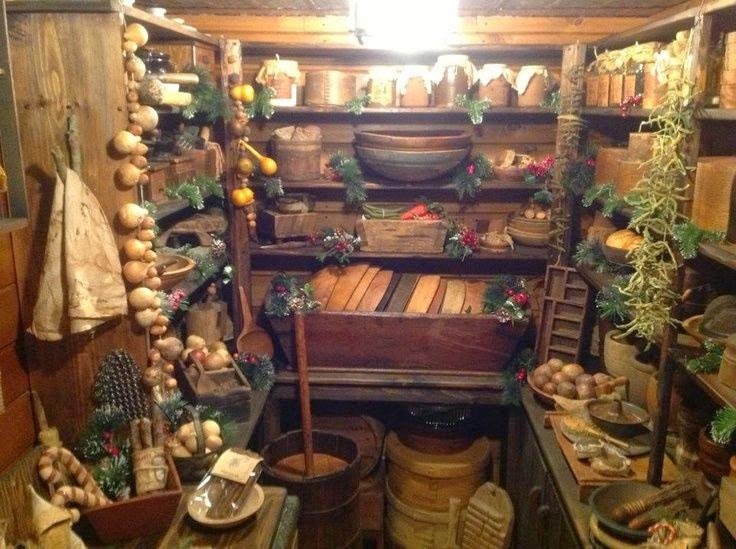 The Middle English word larder denoted a place to store meat (and is related to the word "lard"). It would of course be in the coolest part of the house, on the side facing away from the sun and in the lowest part of the house. It also should be close to where the food was going to be prepared and cooked. (An underground root cellar was for long-term storage, different from a larder.) The larder in a large household might be run by a larderer, responsible for maintaining the meat and fish used by the kitchen. There were other ways to preserve food, rather than cold. Brining, hanging to dry, smoking, curing into sausage and bacon, etc. The notion that the spice trade was so important to medieval Europe because they had to cover the taste of rotten meat is silly. Preserving meat for use later does not require it to be fresh-looking and plastic-wrapped as our modern society prefers. The Mongols were expanding westward. Under Genghis Khan they had taken a huge chunk out of Asia, from what is now the Koreas, Mongolia, and Kazakhstan and the areas south of it, all the way to the Caspian Sea. Twenty years later, under Ögedei and Güyük and Möngke, they held most of what is now China in the east, and had extended into Ukraine and Belarus in the west and south to the Persian Gulf. Through conquering Turkey, they had control of the northeastern shores of the Mediterranean. Mongol hordes were ruthless when taking over a new territory. Iran's resistance required such force to subdue that much of the country's agrarian infrastructure was destroyed, causing famine and serious population loss in the years following the wars. The Mongol Empire had benefits, however, to others as well as itself: an enforced peace throughout this realm made travel and trade safe for foreigners as well as residents. Given time, they might have conquered—and therefore united—North Africa and Europe as well. For the first time in their history, however, they were stopped, defeated when they encountered the Mamluks. Hulagu, a grandson of Genghis and brother to Kublai and Möngke, managed the southwestern front of the Mongol Empire, moving from Persia toward Egypt. He took down the Assassins, and conquered Baghdad by defeating the Abbasid Caliphate. He then sent a message to Qutuz in Cairo, advising him to submit to Mongol rule. Qutuz killed the messengers and stuck their heads on one of Cairo's gates. Then word came that Möngke Khan had died, and Hulagu took much of his army back home to lobby for the throne. 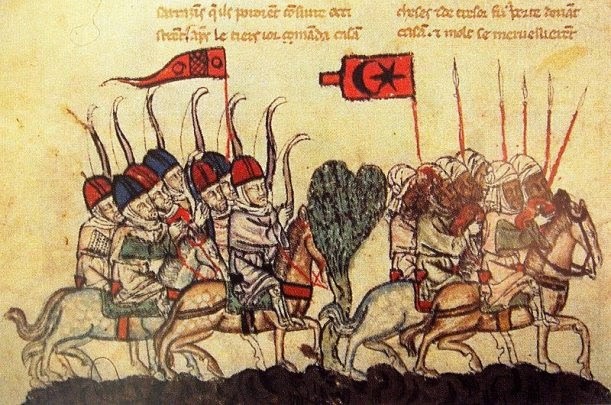 When Qutuz learned that a much smaller military force had been left behind in the Middle East, he gathered his Mamluk army and marched out of Cairo. Two armies of about 20,000 men each met on 3 September 1260 at Ain Jalut ["Spring of Goliath"] in Galilee. 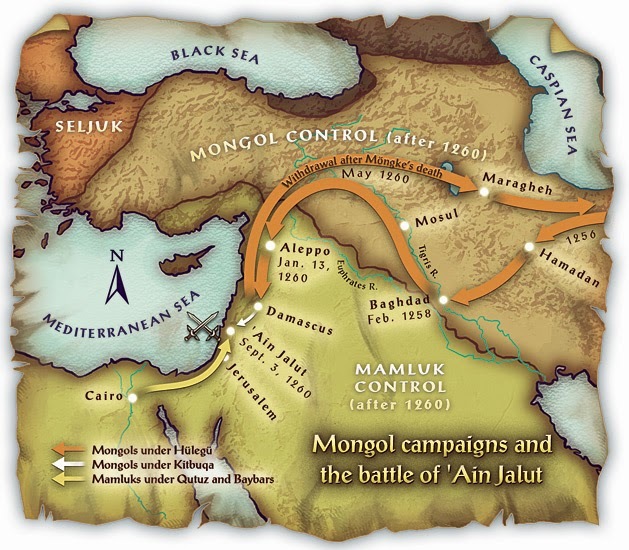 The Mongol army did not know the territory as well as the Mamluks did (Qutuz had allied himself with a Mamluk leader from the region who knew it well and planned their strategy). The Mamluks played a "hit-and-run" game, then pretended to retreat, luring the Mongol army to follow them into the highlands where the largest part of the army was hidden, its archers waiting to ambush the Mongols. Although the Mongols rallied somewhat, they were unable to gain the upper hand. For the first time, their forward advance to expand their territory was stopped, placing a western border in the face of Genghis Khan's dream of a worldwide Mongol empire. The Mamluks had another advantage: explosives, specifically hand cannons. Hand cannons were metal cylinders packed with gunpowder and set off with a flame. They were not good for aiming projectiles with any kind of accuracy, but in the Battle of Ain Jalut they were used to startle the opposing cavalry mounts and create confusion. The short answer to the question posed in the title is "slaves." The name mamluk (plural mamalik) means "property" or "owned" (as in, "owned by the king"). The Mamluks were a warrior caste composed of slaves that grew so important and powerful that they lasted as part of the culture for a millennium; some Mamluks even became sultans. Saladin had dealings with Mamluks. While trying to consolidate his rule against the encroaching Crusaders, he encountered a Mamluk leader named Surhak who had taken control of the strategic town of Harim. He offered Surhak a different city in exchange for Harim. Surhak held out for more, angering his own followers, who cast him out and into Saladin's hands. Later, Saladin rewarded a Mamluk who had helped Saladin escape assassination, by giving the Mamluk the town of Aleppo. After Saladin's death, his sons fought reach other over his territory. Saladin's brother Al-Adil fought his nephews and brothers, adding each defeated leader's Mamluk armies to his own. His successors did the same. When the 7th Crusade came through Egypt in 1249, they found the Mamluk army there too powerful: King Louis IX of France was captured and ransomed. Around this time, Egypt was ruled by the last sultan's widow, Shajar al-Durr; political pressure to have a male ruler resulted in Shajar al-Durr marrying a Mamluk. After his death, the political struggle the ensued resulted in the Mamluk Qutuz taking over; the Mamluk Sultanate was begun, which was to rule Egypt (and Syria) from 1250 until 1517 when it was overthrown by the Ottoman Empire. Mamluks, taken from their families and raised under strict military and religious discipline, were extremely loyal to their owner and supportive of their comrades. The lifestyle and privileges they enjoyed were such that some Egyptians would get themselves sold into slavery to be trained as Mamluks, ensuring a steady career. Although very few people today know about the Mamluks, we owe them a debt for saving the West from the grandson of Genghis Khan...but that's a story for tomorrow. Time to break one of my rules and discuss a 20th century event. 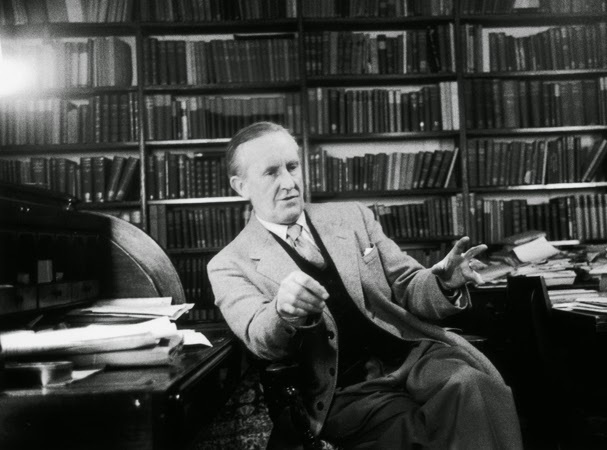 Today is the 41st anniversary of the death of J.R.R.Tolkien. Born 3 January 1892, he learned to read and write by the time he was four, even learning a little Latin from his mother. Among his literary preferences were the fairy stories of Andrew Lang and the fantasy of George MacDonald. In his teens he added the Anglo-Saxon language to his Latin studies. He and his cousins played with inventing languages of their own, a pursuit that would help him lend artistic verisimilitude to his literary masterpiece The Lord of the Rings. A career in World War I brought him home as an invalid, after coming down with trench fever. In 1920 he became the youngest professor at the University of Leeds, on the strength of his linguistic knowledge. His first academic publication was a Middle English Vocabulary in 1922. A few years later, this was followed by an edition/translation of Sir Gawain and the Green Knight that is still in print. Then, in 1937, he published a lecture (given the year before) called Beowulf: The Monsters and the Critics. In it, he argued successfully that the poem Beowulf had value not just as a repository of Anglo-Saxon language and northern European history that could be used to cross-reference other references to history It was also a poem of literary merit. This essay continues to be fundamental to any modern study of the poem. His own translation of the poem was published a few months ago. Current culture equates his name with a series of blockbuster adventure movies, but long after those have fallen out of favor, his academic work will still be fundamental to future scholarly endeavors. This is the story of a man who got everything he wanted...and possibly more than he deserved. Ralph de Stafford was born 24 September 1301, eldest son of the first Baron Stafford, Edmund. Edmund died in 1308, and Ralph went to live with his mother and her new husband, joining the retinue of his maternal grandfather (for whom he was named, Ralph, 2nd Lord Bassett. Sometime around 1326 he had married Katherine Hastings, a knight's daughter. With her he had two daughters, both of whom lived long enough to get married to knights. 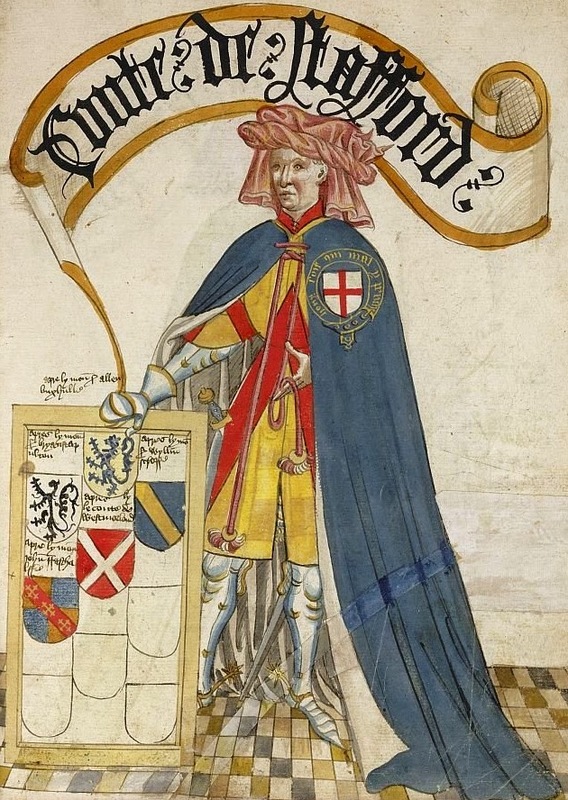 At the age of 26 (in 1327) he was made a knight banneret* and fought in the wars against Scotland. He later helped to free Edward III from the control of his regents, his mother and her lover Roger Mortimer. Earning Edward III's gratitude for this and for later distinguished military service, he was made Lord Stafford by 1336 and served in Parliament. He was later (1341) made Steward of the Royal Household, and even later (1345) Seneschal of Aquitaine. These honors are indicative of the king's favor later in his life, but far earlier he had earned the friendship of Edward. The proof of this is seen in episodes involving his second wife. In 1350, Edward decided to grant several new titles to reward military service. He created an earldom for Ralph, making him the 1st Earl Stafford, and granted an annual payment to him of 1000 marks (a mark was 2/3 of a pound). Because of his and his wife's wealth and titles, their children (two sons and four daughters) were prime candidates for marriage in the eyes of others. They all married well, none of them having to abduct their spouses. Ralph died 31 August 1372. *A knight banneret was a knight who had the right to lead troops under his own banner; Ralph's inheritance gave him that right. **Technically, there had been Earls of Gloucester before this, but the line had been extinguished.